Enjoy safety, comfort and confidence as you rout your smallest parts. 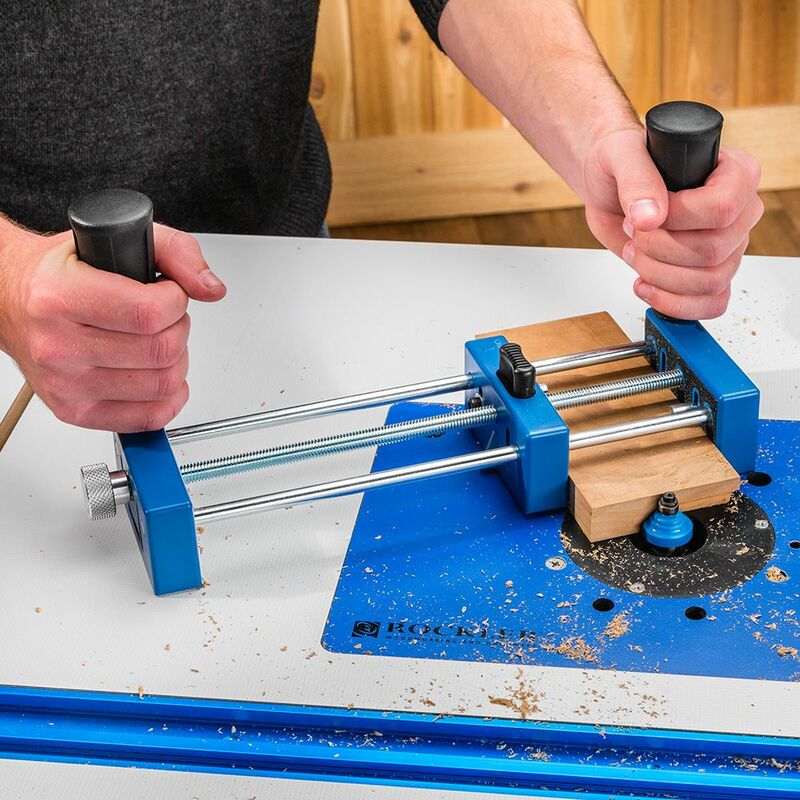 The Rockler Small Piece Holder keeps your fingers out of harm's way and securely holds your smallest workpieces while you machine them at the router table. In essence, it turns a small part into a larger part equipped with nice, comfortable handles. It's ideal for the short rail ends on very narrow doors and for small projects like toys, plaques and birdhouses. A variety of scrap blocks can be mounted to the clamp faces for thicker stock, special holding requirements, or to simply control endgrain blowout. The quick-release clamp screw lets you slide the holder open and shut in an instant for quick operation. Large, comfortable handles ensure precision and control. Works perfectly just as described! This small piece holder Works great for those sketchy small pieces. I have lots of my woodshop kids who use it, for it's much safer than bringing the fingers close to the router bit. 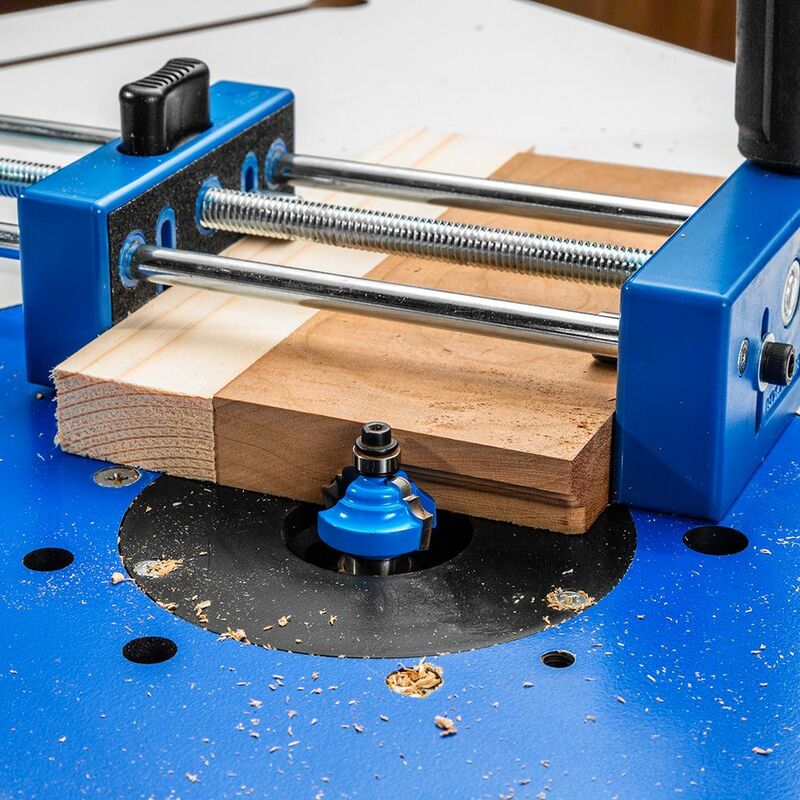 The small piece holder works excellent when working with small pieces of wood on the router table. It keeps your hands and fingers away from the router bits. It's very user friendly. This holder works just fine! I use it to hold pen blanks to run them by a round-over bit on my router table. This knocks off the 4 corners, making it much easier to turn on the lathe. This holder holds the small piece of wood tightly. Never slips! 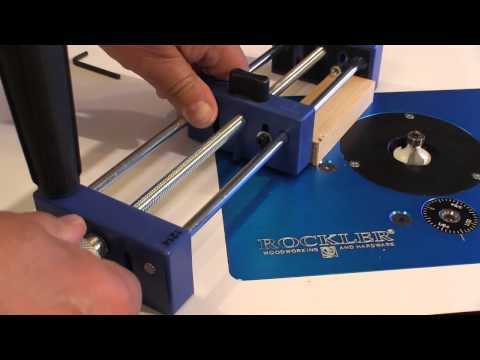 Have used it on the router table doing pin routing. You feel very safe using it while routing small wood pieces. Great tool! I just used this to build a small spice rack - routed some rabbit joints on some very small pieces. Worked like a dream, without me getting my fingers dangerously close to a spinning bit. I highly recommend this item. Well designed and good quality. Reduces the drama of routing small pieces. Would recommend this product to anyone that wants to keep their fingers in working order. This does what it says it'll do and it's solid. Great product. A little pricy but worth it when working with small pieces. Would rather save some fingers than be without this . I'm new to woodworking and Rockler tools. Products are well thought out and decently constructed. Works well with big hands! Good tool, well designed.Easy to use. This holder worked very well, does exactly what you expects. Simply keeps your hands at a safe distance, while still controlling the piece. Anyone working with small pieces needs this tool. It is just the thing to make a job easy & safe. It's well designed & a pleasure to use . works good holds small pieces well, keeping fingers out the way. I saw this on sale and bought it. Just a few days later I was working on a project for my grand sons and needed to soften the edges on some 2 inch diameter wheels I'd made for their project. I was going to just do it by hand but thought that it would be more uniform to use my 1/8 inch round-over bit with my router. But...how to hold the parts and not endanger myself. The parts holder worked great and the wheels look great and best of all I still have all the digits on both hands. The device comes with very good non-slip gripping surfaces. It is very quick to fasten and unfasten pieces. My only gripe would be the tightening knob goes counter-clockwise to tighten. After about four miss turns you remember it. I am very satified with my purchase . Unit it well thought out and i like how my hands are on the grips and away from the cutter . i tried several different bits to try it out , was not dissapointed . Buy it , makes things safe . Works much better than the older model as it has hold downs to keep the wood piece from jumping up when it moves into the bit. I built a lot of wooden cars and trucks with small parts so this is perfect for what I do. This is money well spent, keeping fingers out of arms way. Small Piece Holder Works as Expected. It works like a charm. It makes my routering a lot easier and much more safe. Just What the Dr ordered!! 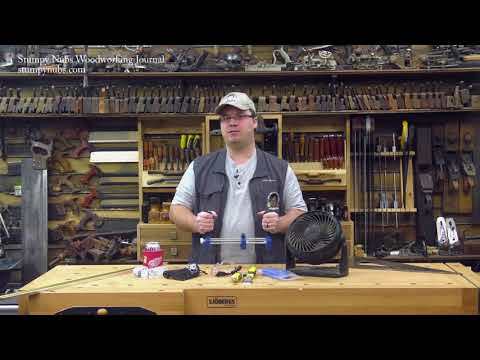 I have a weak left hand and some control issues with it because of a stroke - - this works great for routing and table saw and band saw work!! Love it, perfect for the small pieces I work with! I added a fence to the front so that I could index off a router table fence. Would be nice if Rockler would add threaded inserts to the top of the outer blocks so that a fence could be attached. 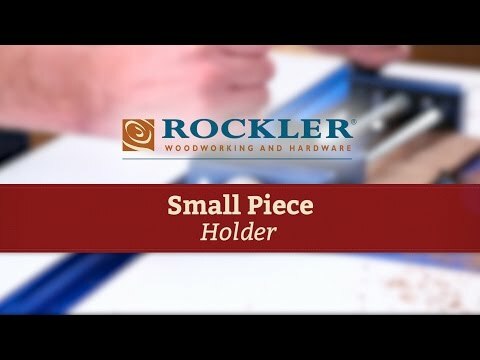 Hopefully Rockler will update the small work piece holder and proved an optional fence. Note in the attached picture that I had to use my own 5/16 - 18 tpi knobs because the ones that came with the work holder were too short after putting on the 1/8" thick plastic. I put a 3/4" overhang to the plastic so that the router bits don't hit the small piece work holder. Added a fence to the small piece work holder so that it can be used as a router Coping sled. This worked out real well for me. Holds piece securely and keeps your fingers away from the blade. A must for small parts. Being a surgeon who does woodworking for enjoyment, It is imperative that I save the hands and fingers. 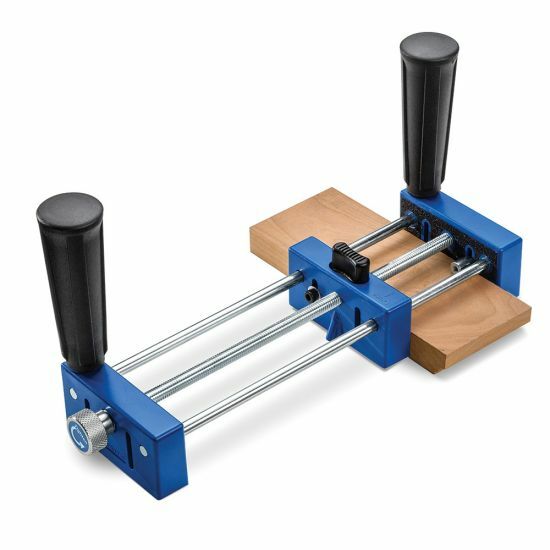 This is the best for small pieces on my router table. Hooraah!! I have used it several times. It is a real finger saver. This tool gives you a safe secure cut that keeps your hands and fingers well clear of that rotating bit. This also improves the finished product due to the improved control you have over the piece. 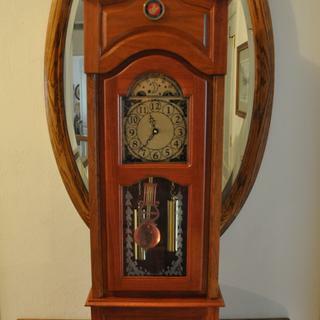 I picked it up in sale and I am quite pleased with it. Makes it much easier to handle small pieces with my elephant sized hands. I bought this and used it on my router for some small parts. Wow--the safety impact is great!! IT'll be used a lot in my shop. Excellent product that has safety first all over it. This tool is a joy to use. Well built, easy to use, keeps fingers away from router bit, and the instructions were clear. I only wish I had this years ago. I sometimes find myself with my nearly 70 year old fingers way too close to my table router bit! I still have all my all my fingers and want to keep it that way. This tool holds my small parts tightly and allows me to continue to use my router. 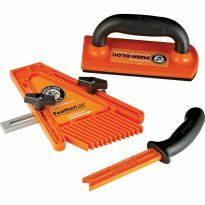 I have found other similar tools for about half the price but no way they are even close to the quality. I saw this tool in my local Houston TX store and went home without it, I ended up ordering it from Rockler two days later because the others just did not seem as safe! Only one minor comment, the screw tightener should (for me at least) tighten in the opposite direction. I admit I am always worried if I take chances in the shop with my safety. Sometimes you do something and think I know this isn't as safe to do, but I just need a better hold and my hands work best. 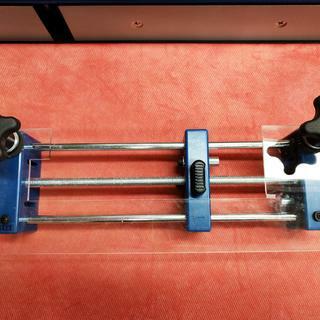 Use this small part holder to keep your fingers at the router table I would replace immediately if I ever lost it! It’s a winner!! I’ve recently downsized my project output (Boxes, sculpted pieces, etc.) from my shop which requires a safer and quick way to add profiles and route short joinery. Good item.....glad I purchased it. Wanted to hold pen blank size wood pieces safely when using the router table, and table saw. So I count all my finger when I leave my shop! I chose it for safety. Fingers have no place too close to a router bit. Looks like a good safety item to replace use of my fingers holding close. I ordered this to be able to make small parts more safely. 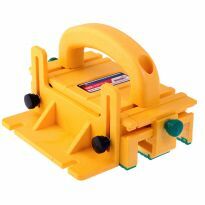 Saw it in store, looks like it might be very helpful in safely routing smaller pieces of wood. Safety.........Had some kick backs that made me cautious. Short of making a larger, more complex jig, this device appears to be just what I need to securely hold small pieces and protect my fingers. Safety Reasons - I make wooden trucks and tractors so I am always dealing with small parts. Safety first , keeps the fingers away from the high spinning bits on those small items that need to be shaped ! To save my error prone fingers. I was looking for a way to more safely route small items on my router table. Need a good safer way to rout small parts. Looks like a nice robust product. Purely for safety's sake. I love working on router tables and tend to make small things so I want to be able to keep myself out of harms way whenever I can. To more safely rout small pieces of wood, especially end grain on narrow pieces of wood..
Do a lot of small pieces on router table. Worried about losing a finger.. Soon as I saw it last year I wanted one. Told myself if you came down $10 in the new year, I'd buy it. You did better than that. Plan to use it a lot. I saw it on a stumpy nubs cool tool review, it is on sale for 1/3 off, and I REALLY REALLY want to keep my fingers uncut! I have several projects that require free hand routing. I was wondering the best way to accomplish this safely. Now I am eager for the jig to arrive and get started. I didn't have time to make one. Too help keep the users fingers out of the blade. This is a well made holder and it is very flexible. Of course I'm all about safety in the workshop. Because I like having finger tips. To save my fingers from ruination. I have been doing small pieces by hand and I'm having a harder time seeing and wanted to keep my finger tips. will this tool hold a piece of wood 26 inch long to router a shape on the long side of the board? Why is this any better than a good parallel clamp, like a Bessey K Body or UniKlamp? BEST ANSWER: You COULD use a Bessey clamp or UniKlamp do the same things...but this jig simplifies the adaptation. 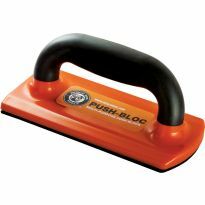 It's upright handles give you greater control and safety when handling a small piece. The jig, in general, is designed for quick and safe locking of smaller work pieces without slipping. I had used the Bessy's all the time but this little device is so much faster and easier to setup and control on my router table and my shaper. It has three planes in contact with the surface as well so small pieces are much easier to manoeuvre and control with no slippage or irregularity in the angles when I use it for custom stiles and rails for the doors for my clients. The added safety is a no brainer. What is the maximum thickness that it can handle? BEST ANSWER: No limit. Work piece sits below pins. However, using a workpiece over about 2” seems like it would be dangerous, because only a small portion of the top edge would be held by this device. See Stumpy Nubs #11 Cool Tools that just came out -He recommends this tool and shows how it works with somewhat thicker pieces. Would this work for belt sanding small pieces? BEST ANSWER: yes it would work. It is definitely a finger saver. You can better manipulate your work piece on the sanding belt depending how you place it in the holder and how you can maneuver around the belt and associated machinery. I haven't tried to do this, but I 'm sure it would work. By the way, this small piece holder makes working with small piece infinitely safer, especially with a router. Yes, but not if the piece is really small as the holder needs a certain amount of surface to hold it, especially if using rough paper. Will it hold odd-shaped pieces or only straight rectangular items? BEST ANSWER: The jaws of this little "vice" are parallel. They do not angle to accommodate pieces that do not have parallel sides. Anything that will remain firmly grasped between parallel jaws will be good to go to your router or whatever power tool you are using. 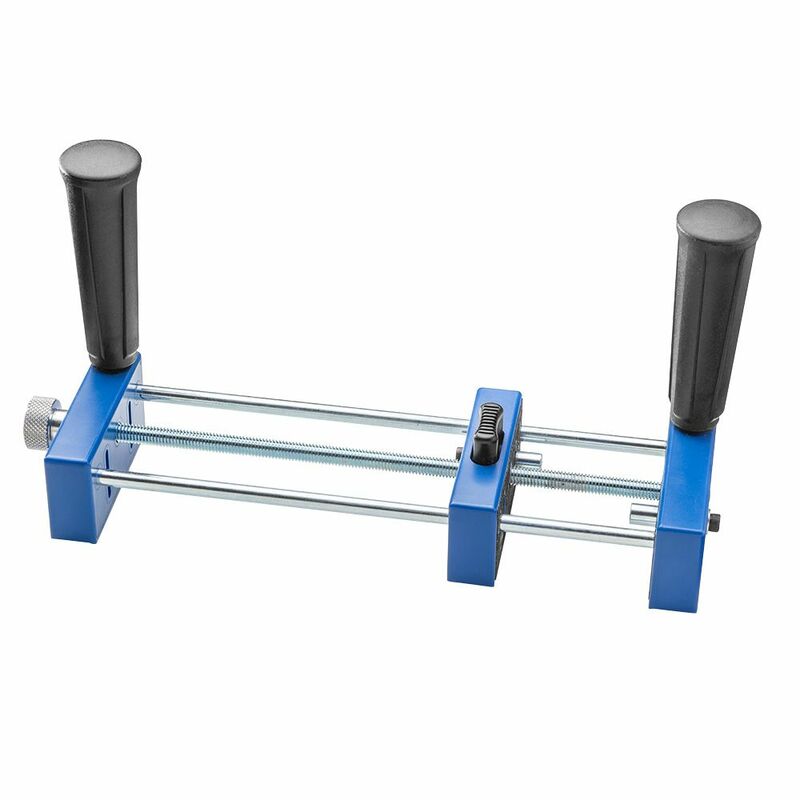 You can buy a variable angle attachment for your bench vice jaws and that device could work with this also. Not sure. I haven’t had the opportunity to use them yet. Can you use this device for work on table saw? BEST ANSWER: Rockler does not recommend or endorse the use of this product with a table saw.